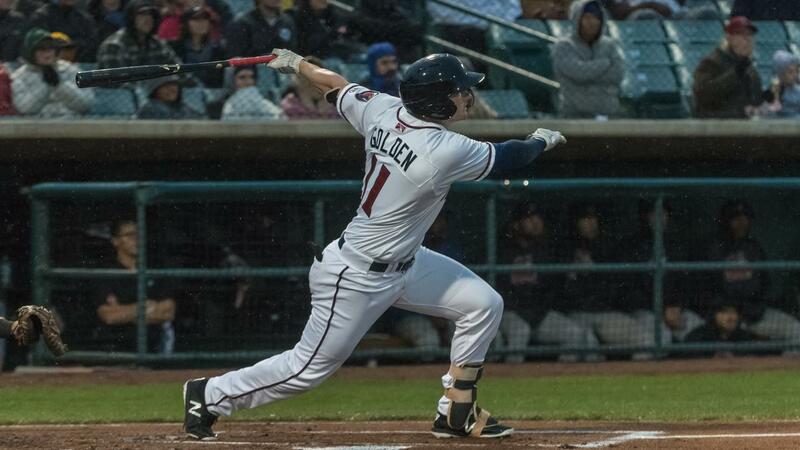 RANCHO CUCAMONGA, Calif. - Garrett Schilling struck out 10 batters, and the JetHawks survived a late Rancho Cucamonga surge in a 9-8 victory in the series-opener on Thursday night at LoanMart Field. The win was Lancaster's second-straight after losing six in-a-row to start the season. Schilling (1-0) set the tone for the JetHawks (2-6) early, striking out the side in the second and fourth innings after being given a 4-0 lead. He allowed one run on four hits and became the first Lancaster starter to pitch six innings this season. His 10 strikeouts set a new career-high. The JetHawks jumped on Rancho starter Bryan Warzek (0-1) who lacked command in his three-inning start. The lefty walked three batters in the first inning, and Matt Hearn scored on a Luis Castro single for the game's first run. After adding another run in the second, Lancaster scored twice against Warzek in the third. Casey Golden led off with a home run, and Castro added another RBI-hit later in the frame. Lancaster seemingly broke the game open with a four-run seventh inning. Ryan Vilade doubled home two runs before scoring on Todd Czinege's first home run of the season. Braxton Lorenzini entered in relief of Schilling for the bottom of the seventh and hit the first batter he faced and allowed two runs on three hits in the inning. Lancaster allowed an unearned run in the eighth inning and led, 8-4, into the ninth. Golden led off the ninth with a booming home run to left, his second of the game. The ball traveled an estimated 450 feet and left his bat at 112 mph. It marked Lancaster's first multi-homer performance of the season, and Golden leads the Cal League with four home runs through eight games. Reliever Hunter Williams, who finished the eighth, returned for the ninth and walked three of the first four batters he faced to load the bases. Austin Moore entered from the bullpen and gave up a grand slam to Nick Yarnell, cutting the JetHawks lead to 9-8. Moore would retire the next two hitters to end the game pick up his first save. The second game of the four-game series is slated for Friday in Rancho Cucamonga. Lefty Lucas Gilbreath will start for Lancaster against Quakes (5-3) right-hander Gerardo Carillo). First pitch is 7:05 p.m.